Managerial goofup at JU’s Sanskriti disappoints Soulmate fans in Kolkata | WhatsTheScene? They weren’t exaggerating, for both the Sanskriti posters in and out of the JU campus, as well as the official website confirmed Soulmate’s presence. When we got in touch with Keith Wallang, manager of Soulmate, he said, “That image was taken off the web, it is not an official picture. It is completely wrong for anyone to have used that picture in the first place. 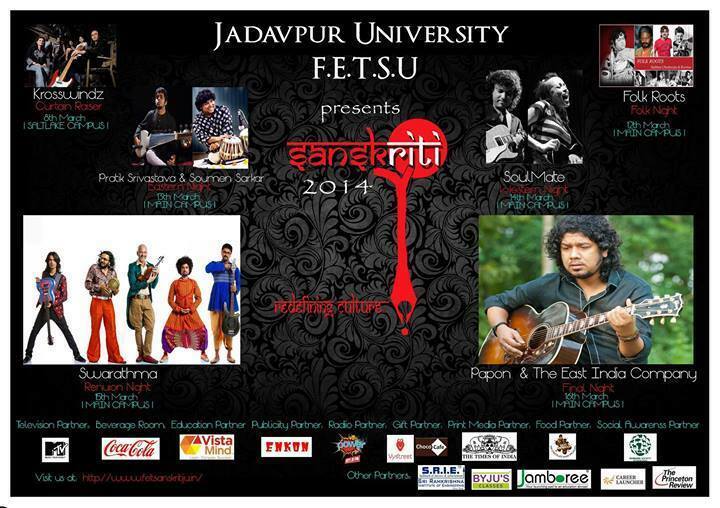 Rudy is now a Fender endorsee and the guitar in the picture is not a Fender so there again they have screwed up.” This astounding portrayal of inefficiency by FETSU (Faculty of Engineering and Technology Students’ Union), Jadavpur University apparently began when event managers wrote to the band who replied with the associated Terms & Conditions. This elicited no further response from the organizers, terminating all contact between the two parties until the spate of advertising began, much to the band’s surprise. Understandably, the band will not be performing on the 14th.